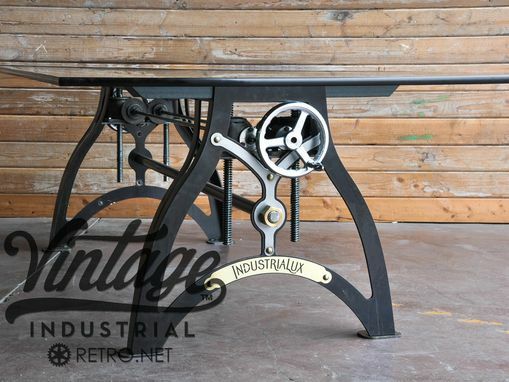 Our IndustriaLux Crank Table presents a refined Industrial look along with its simple yet elegant lines. With a turn of the 8″ crank wheel, it adjusts from 30″ dining height to 42″ bar height. 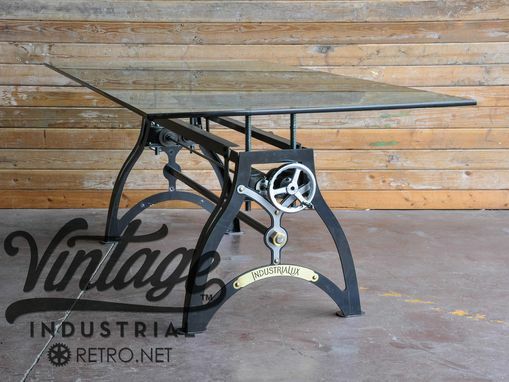 Both beautiful and sturdy, the IndustriaLux Crank Table is accented by brass details on the base and an elegant glass top. This dining table is available in an aged finish or any high gloss color. 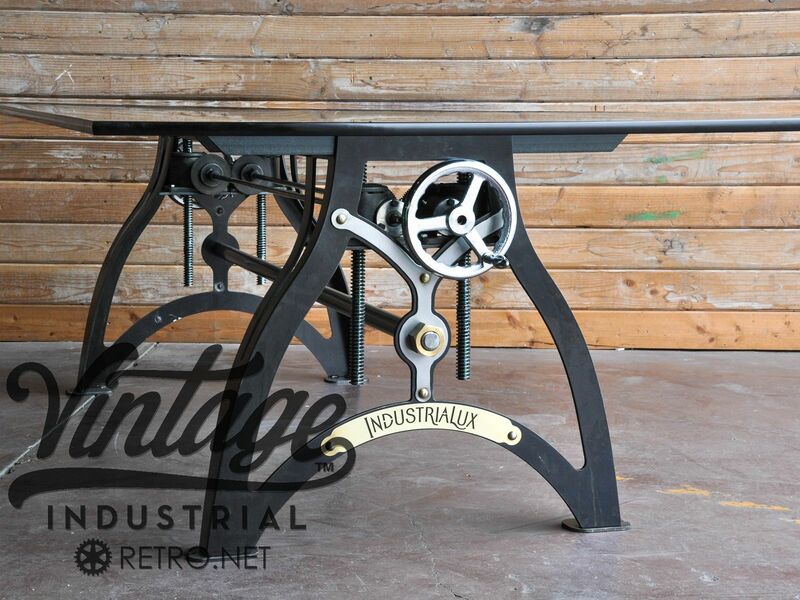 The IndustriaLux Crank Table is an adaptable design that can be customized to a wide range of specifications to fit your individual commercial or residential needs (contact us). For more information, please see Product Details below. Turn of the century machine base look. Hand crafted of steel and brass.